Therapist Care and Conditioning 1 is an Endorsed Education Activitiy with Massage & Myotherapy Australia. ATMS – all our courses are accredited with ATMS. 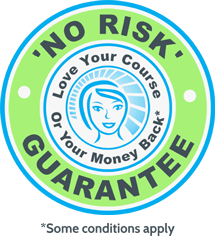 ANTA (Australian Natural Therapists Association) – also recognises our courses but they do not specifically accredit courses. At Bright Health Training, we would like to acknowledge the excellent work of these associations in promoting professionalism and standards across the remedial massage industry. One of the key objectives of our training courses is to meet the continuing professional education requirements established by the Australian industry associations within remedial massage and manual therapies. Meeting these standards means that you not only increase your knowledge and skills but also meet the requirements for ongoing training and development. Course recognition means that you can use your training in our courses to claim continuing professional education (CPE) points towards your annual requirements for on-going training. Each course will state the number of CPE/CUE points awarded by the professional associations, on the product page. How many points can I get? The standard is one point per hour of study. However, contact your Association or check your list of CPE activities to find out, as it may vary. Upon completion of your course you will receive a certificate for your records.